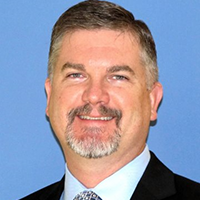 Shawn Anderson is part of the Cybersecurity Solutions Group at Microsoft since joining in September of 2016 where he serves as an Executive Security Advisor. He served 10 years in the Marine Corps and is a former Chief Information Security Officer. Working at all levels of security over his career he provides cyber security guidance and thought leadership to Fortune 500 executives. Shawn served previously as the CISO at Babcock & Wilcox, the Intelligence Business of Raytheon, and ran a government consulting practice providing training and guidance to “C” level security executives. With a varied background in cybersecurity, Shawn offers insight to what is necessary to keep your company safe before the next threat. Shawn received his BS in Computer Networking from Strayer University and a Master’s of Science in Information Systems Management from George Washington University. He holds certifications in security, program management, and information management.